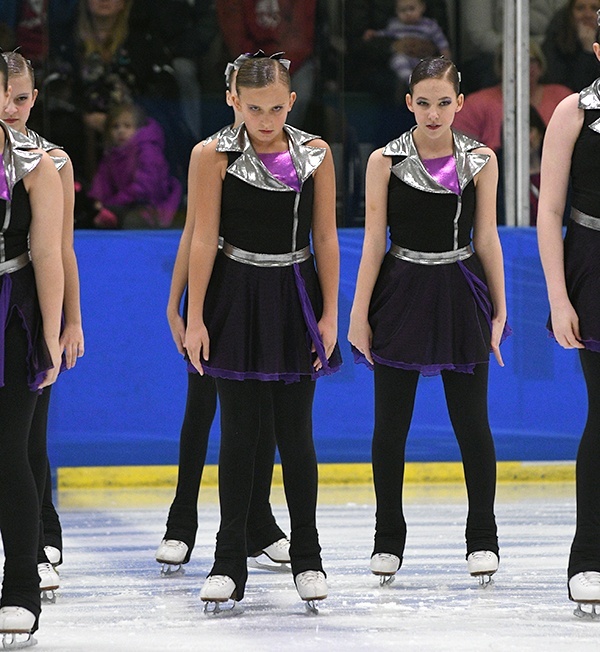 The St. Louis Synergy Synchronized Skating program is all about the "S," but for their 2017 Synchronized Skating Championships, their Intermediate team was all about their World Unity Theme. 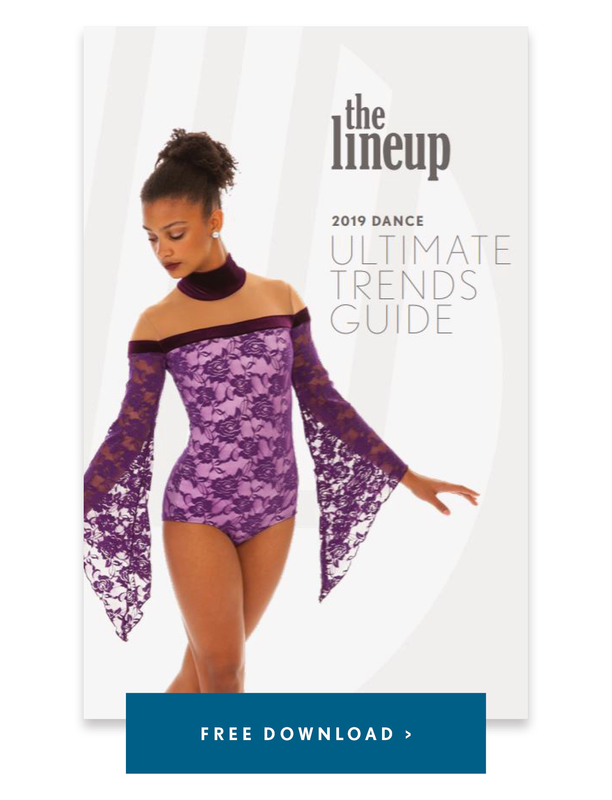 The team wanted, "a dress that was very elegant and sophisticated, and the Line Up definitely hit the mark," said Coach Charity Hendrickson. 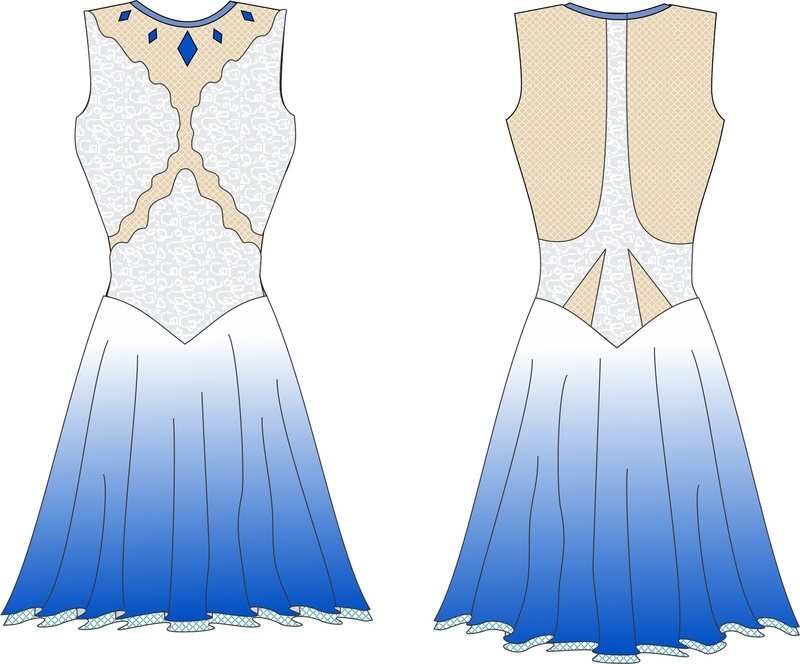 We helped them design a custom synchronized skating dress to match their theme, and they were specific about the colors they wanted: white to represent peace, and blue to symbolize the world. A subtle peace sign incorporated into the back of the dress, as pictured below, helped further express the World Unity theme! 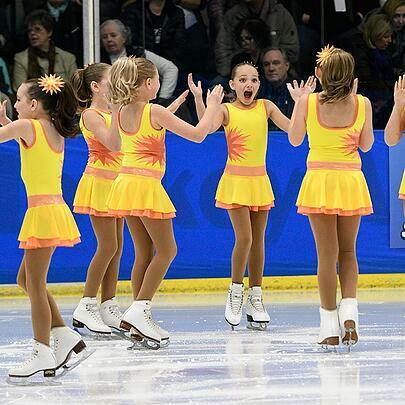 As an overall team, St. Louis Synergy consists of over 100 skaters from age 5 to 18, on 7 different teams. The Synergy program focuses on "developing strong young women and men by emphasizing sportsmanship, scholarship, service, and skill development." 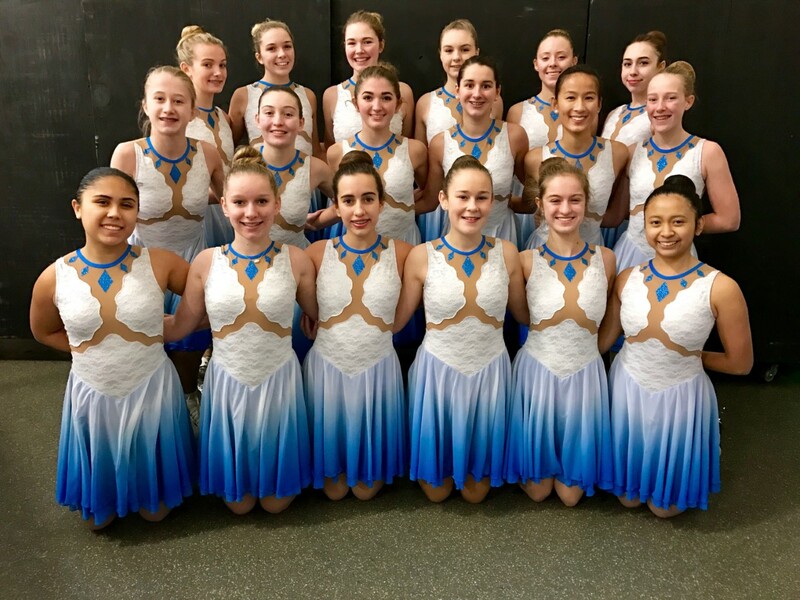 Synergy teams have appeared in the last 7 USFSA National Championships, and the Junior Team is the first Missouri skate group to be chosen for the honor of representing the United States in international competition for two years in a row! Check out more Q&A from Charity below! How many routines do you have for this season? We are skating in the Intermediate division, so we have one free skating program. What is your teams’ favorite song to perform? If you ask them, they all have a different favorite song in the program! But in general, they really love "The World is Ours," which is the second song in their program. The energy and excitement really picks up during this part of the program. This section of the music includes the No Hold Element, which has a lot of fun choreography in it for them to perform and show their personalities. 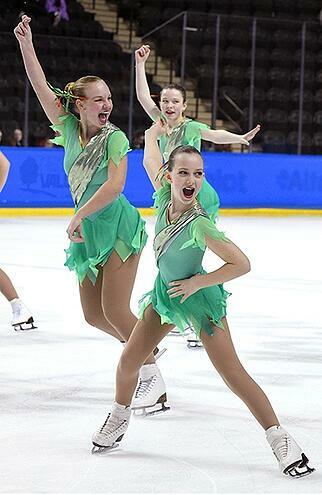 One of the things that we feel makes us unique is that these girls have basically grown up skating together. 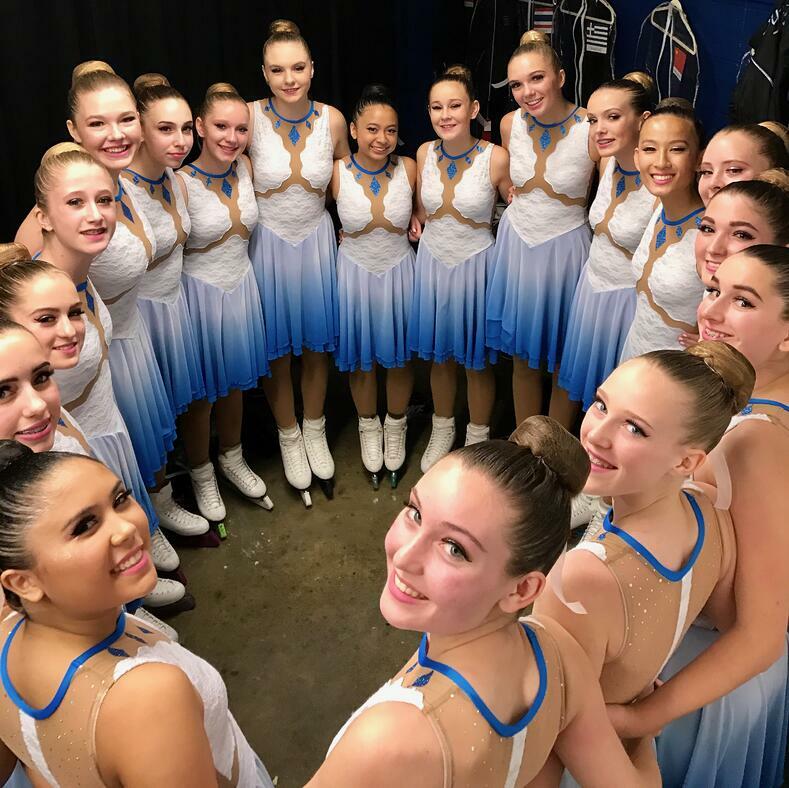 Because there are not many other teams in our area, many of our skaters have been on the same teams together since they were very young, and have moved up the levels together. They've created so many memories together over the years, and it's always fun to look back at old pictures from when they were little. We also come from all over the St. Louis area. We probably cover about a 100 mile radius with all the different areas where our skaters live! What is your favorite memory from the past/present year(s)? So far, our favorite memory happened at the Foot of the Lake competition in Fond Du Lac, Wisconsin. After a rough skate at the Kalamazoo Kick-Off competition, we were very excited to have a clean skate at Fondy, and increase our score by 12 points! Standing in the kiss-and-cry, and hearing that we broke 60 points was the most exciting moment so far! There was lots of screaming and happy tears! Midwestern Sectionals! We are so excited to continue working together and improving as a team, and we can't wait to get to North Dakota and fight for a spot at the National Championships! Check out the video below of the St. Louis Synergy girls doing their routine at the Midwestern Sectionals!